Our Electricians in Bedford offer their electrical services, improving the safety and place of living in your home. In2 Electrical are renowned for their high-quality services, so it’s no wonder they are said to have the best Electrical Contractors in Bedford who are on hand and ready to provide clients with a high-quality service. Their customer service is second to none, as they consistently provide customers with exactly what they want and always strive to achieve 100% customer satisfaction. Their high quality is even recognised widely online as they are rated no less than 4.9/5 on all review sites. Every project is done to the highest standards and overseen by professional and experienced managers, who are responsible for ensuring every phase of the project is done without fault. With every aspect of the project continuously checked, our Electricians can efficiently provide clients with a clean and well-done project that reaches all of their requirements and is done on time. As well as electrical contractors, In2 Electrical offer their talented Electricians in Bedford, who are experienced as well as professional to achieve nothing but perfection on every project given. In2 Electrical are experts in Rewiring a House in Bedford, their team are able to provide full house services, even Light Switch Wiring in Bedford. They complete each project to a high quality standard, making sure that each project is highly efficient and cost effective. If you’re looking for an Emergency Electrician in Bedford, then you’ve come to the right place! In2 Electricical are on hand, to complete any emergency needs you may have, helping to create your home a safer place of living for you and your family. 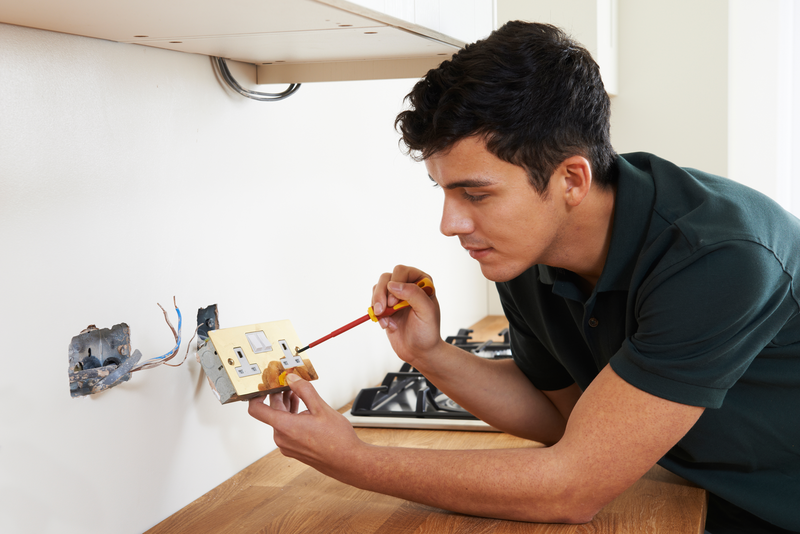 In2 Electrical’s team have had many experiences in Electrical Installation in Bedford, helping to install any electrical appliances within your home. Creating a safer and livable place for you and your family. You can rely on them for a high quality service, one where you know you’re not getting ripped off! “So happy with the service I was received by In2 Electrical, all of the team were really friendly and helpful! I will recommend to all of my friends and family to go to In2 Electrical, if they ever need a local electrician." “A great team and a great company, I couldn't be happier with the service from In2 Electrical. I needed a fault finding service as I was getting too paranoid about my appliances, they knew exactly what to do and fixed it straight away. “ Thank you so much In2 Electrical, you really helped me with my extension service, I didn't even realise the amount of electrics that goes into it, I will definitely be recommending them to anyone needing an electrician.